Looking for school cleaning services in Melbourne that are reliable and efficient? At DJB Commercial Cleaning, we boast a team of highly trained and experienced cleaning experts who can meet your needs and exceed your expectations. Our professionalism and workmanship are second to none, ensuring that your school looks its best for teachers and students alike. Whether you need to clean individual classrooms or large halls and outdoor playgrounds, we have you covered. 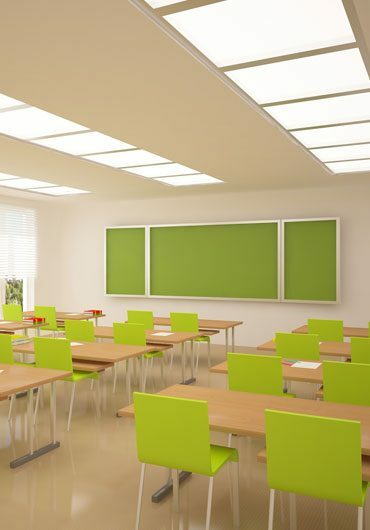 The importance of school cleaning services in Melbourne should never be underestimated. Parents often take time to consider which school is best for their children. They want their children to feel safe and comfortable, but also receive the education that they need to thrive as an adult. Parents therefore often meet with teachers and tour the facilities to make an informed decision – but if your school grounds are unkempt or unclean, this can have a negative effect. There are many schools for people to choose from, so you will want to make the best possible impression. A well organised and sufficiently clean school will go a long way in accomplishing this. Parents will be impressed and children will feel excited about studying at your school. These are important elements for any successful school. There are many other reasons why you should consider regular school cleaning services in Melbourne. For example, children spend the formative years of their life at school developing skills and values that shape the adults they become. Disorganised and unclean schools set terrible examples for students about the standards they should aim to uphold. Choose DJB Commercial Cleaning for professional school cleaning services in Melbourne. Learn more about our services and make a booking by calling 0424 217 336. Alternatively, you can send us an email and we’ll get back to you as soon as possible.